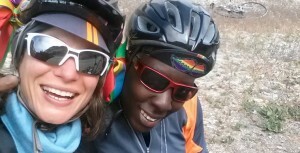 Lesbian.com blogger and radio host Dana Brenklin shares how joining Team Goodisness for AIDS/LifeCycle changed her life for the better. 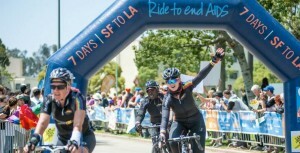 Lesbian.com blogger and "Elena Undone" star Traci Dinwiddie's Team Goodisness raised over $300,000 for AIDS LIfeCycle this week. Here's an ode to the ladies in Spandex. Dana Brenklin’s motivating story of how she took on a great challenge at the urging of actress Traci Dinwiddie. Learn how you can support the cause.